Computer viruses are programs that are installed unknowingly and will corrupt data or impede computer performance. 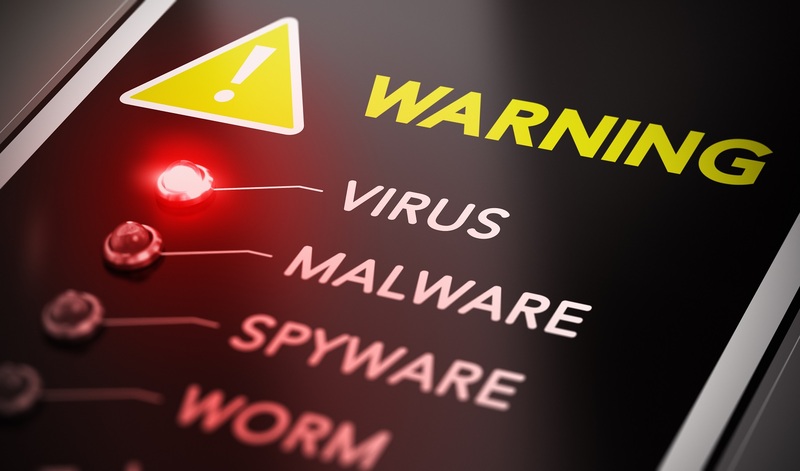 More than likely if you have ever encountered a virus you have done so through downloading files, opening email attachments, or clicking on a questionable web links or pop-ups. Malware can be nasty, recently we dealt with a laptop that was infected with an encryptor variant. The encryptor virus locked all personal files including music, movies, documents, and pictures. The unfortunate part about this experience was that the customer did not have any recent backups and there was no known fix to get access to the files again with this specific lock. Our virus removal service is top notch but in this case there was nothing to do besides save what we could and rebuild the system from scratch. We moved the saved files back once we confirmed no traces of the virus remained. Always keep backups and even backups of backups. This week has been insanely busy for virus removal service with no repeat customers thankfully. One Dell Inspiron 1525 and also a Dell Inspiron 1545, we also worked on a couple of white box (custom home builds) systems; we do not see many of these anymore. Each of the systems were running Windows 7, 8, and 10. that we were able to use our tools on to effectively remove all the viruses and deliver the computer back in hand running better than ever. We left our virus removal assault tools on these systems so our users can fire them up later if needed. Tim also brought us a Lenovo with a massive number of viruses that needed to be removed because the system was running so slow. Our virus removal service is guaranteed, so don’t wait around to get those bugs cleaned up. Start enjoying your computer again!